West Longitude 79º 50' 4"
North Latitude 47º 2' 25"
I hope have expressed this correctly, or at least in a form that others can understand. 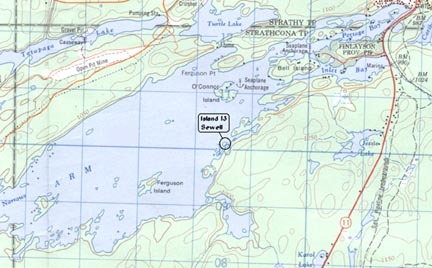 Please see the following maps as well. 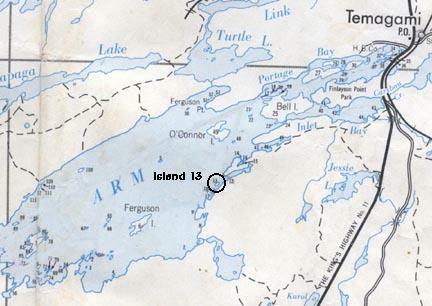 From Map 24C "Islands in Lake Temagami"
Be sure to visit more Sewell Pages.